Cathy Stoller, a co-founder of Stoller Vineyards Winery in Dayton along with her husband Bill Stoller, helped build Express Employment Professionals into a worldwide enterprise. In 1993 the couple bought part ownership of Chehalem Winery in Newberg. Also in 1993 they purchased several hundred acres in Dayton to develop an estate vineyard which now totals 176 acres. Their first estate wine was released in 2003. Stoller Vineyards Winery opened to the public in 2006. 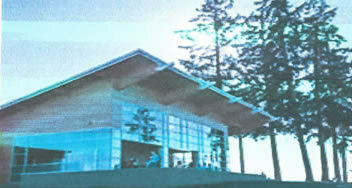 It was the first winery in Oregon to receive the “LEED” Gold certification. The winery is located at 16161 N.E. McDougall Road, Dayton, Oregon.